Spectacular custom home that backs to 30+ acres of protected open space! Rare opportunity to live on one of the best streets in Lafayette that's only blocks to the shops & restaurants of Old Town. 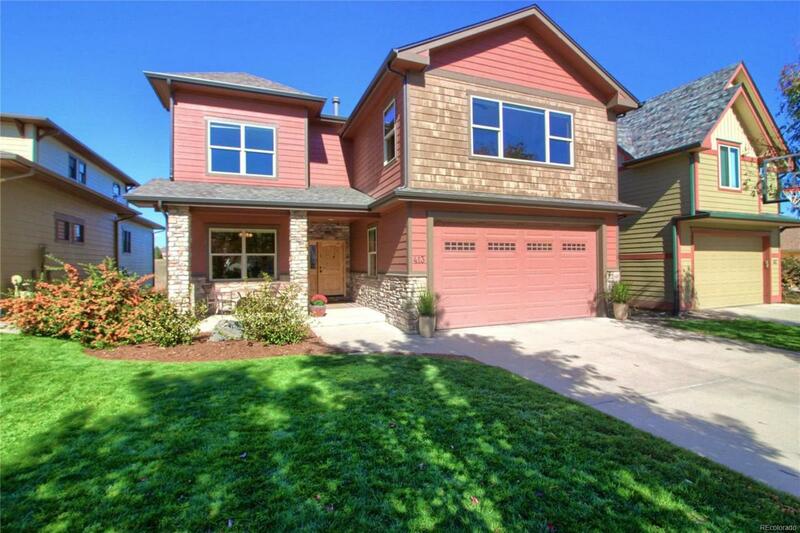 Abundant natural light & open concept make this home perfect for entertaining. Gorgeous kitchen with huge island, Jenn-Air professional grade gas range, distressed cabinets, 2 dishwashers, wine cooler. Incredible master retreat with spacious closet, gas fireplace & private covered deck. Fantastic finishes throughout the home: Hickory floors, Knotty Alder trim & doors, slate tile. Finished walkout basement with 9 FT ceilings, media area, work shop and full bath,. Main floor study has a closet and can be used as a convenient main floor bedroom. Dual zoned HVAC systems, upper floor laundry, south facing driveway, new roof, 2 covered decks. Homes on E Elm that back to the protected open space rarely come available. This one is simply gorgeous so don't miss out on this incredible opportunity!